This 18-week course is taught by members of The Oregon Board of Rabbis, representing a variety of Jewish affiliation. A carefully constructed curriculum includes Jewish history, life cycle events, holidays, ritual and daily practice, theology, study of Torah and contemporary Jewish America. This class, in itself, is not a conversion class. Students come from a variety of backgrounds: some are Jews reclaiming their heritage, some are people on a spiritual journey and/or interested in converting to Judaism, all want to learn more about the Jewish faith and what it has to offer. 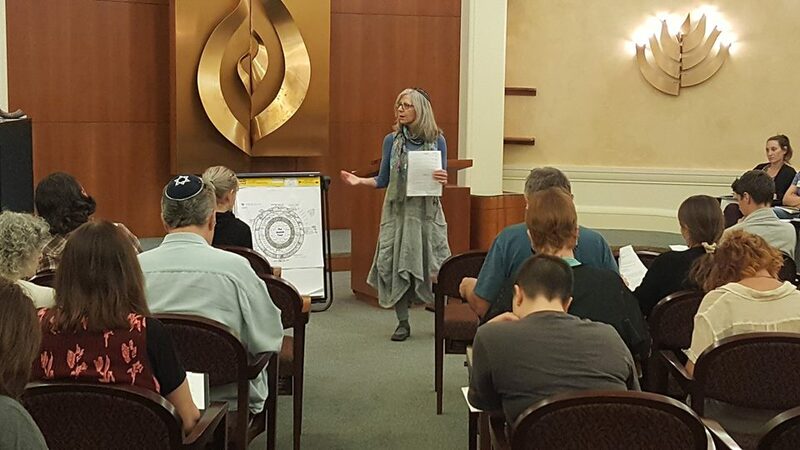 While not a conversion class, most members of The Oregon Board of Rabbis consider this course a prerequisite for students beginning study for conversion. The course fee is $360 (per student or per couple sharing materials) and includes a Chumash (Hebrew/English Bible), a notebook of reference materials, as well as supplementary material distributed throughout the course. Classes are held on Thursday evenings from 7-9 pm, with the location rotating among synagogues in the Greater Portland area (see map below). For more information about the course and registration contact JoAnn Bezodis, Class Facilitator. If you registered for our next class and would like to pay the course fee online via PayPal or a Credit Card, please click the button below. Thank you! is powered by	WordPress 5.0.4 and delivered to you in 0.730 seconds using 27 queries.